Compared to central heating and combustion-based portable space heaters, electric space heaters are inefficient. Their simplicity and safety, however, make them a popular choice for heating small spaces. Space heaters are efficient at converting electricity to heat; nearly all of the electricity they draw is used. However, power plants are relatively inefficient, since they must convert heat to electricity to transfer it through power lines, which also drain a bit of electricity. 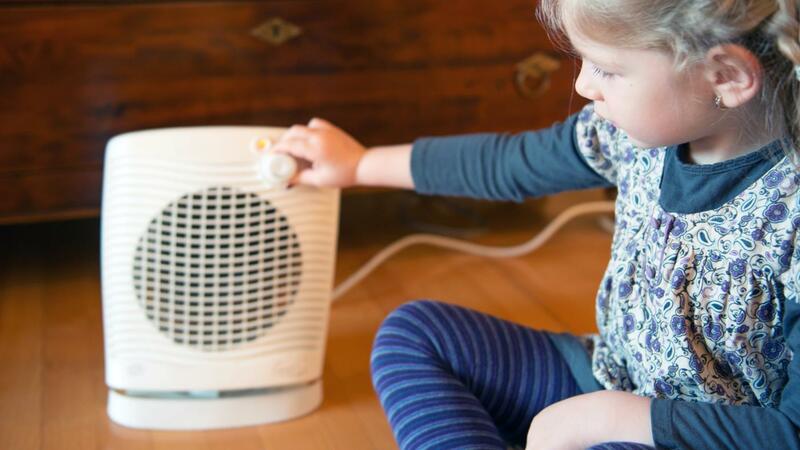 Electric space heaters powered by a natural gas power plant end up using more natural gas than a heater that uses the heat from natural gas directly. Despite their inherent inefficiency, however, electric heaters are safe to use indoors without ventilation and don't require bottled fuel. These attributes make electric space heaters popular for occasional use. Are Boiler Heaters Energy Efficient? What Are Some Top Rated Space Heaters?